Injustice anywhere is a threat to justice everywhere. Those were spoken by Dr. Martin Luther King and are the theme for today’s Thankgiving message. We try to blog everyday. Holidays are no exception. A few minutes ago I was poised to write a story on a new Ponzi scheme in Florida. Unfortunately, by tomorrow several new fraud and scams will be uncovered. A few hundred more families will see their homes taken in wrongful foreclosures (a term that didn’t even exist until 2008). There is no shortage of evil in our own back yards and corporate board rooms. This Thanksgiving morning, however, it’s time to reflect on what we do and why we do it. Our law firm was created with the goal to be America’s best tax and fraud recovery law firm. We enjoy tax work and I am a tax lawyer by profession. My passion, however, is the pursuit of justice and nowhere does that come more into play than with fraud recovery cases. The legal profession is in trouble. There are too many lawyers and recently some law schools have shut their doors. Yet for those of us who pursue fraud and injustice, there are not enough of us. Last week we wrote about the latest U.S. Department of Justice figures on whistleblowers. This year the government paid out $435,000,000 to whistleblowers under the federal False Claims Act. Add another $100 million or so for SEC, IRS and FIRREA whistleblower cases and its a gratifying number. The problem, however, is that only 713 whistleblowers came forward and filed claims. Part of the reason why there were so few new false claims act cases filed is the lack of trained and qualified lawyers willing to take those cases. I don’t pretend to have all the answers. And no one person – lawyer, judge, special agent or concerned citizen – can stop every fraud and right every wrong. Working together, however, we can make a dent. No fraud stories this morning. No tax stories either. 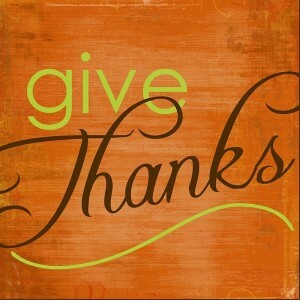 It’s a day to be thankful for all the successes we have enjoyed. The people we have met and helped and a time to reflect on those cases where we didn’t get the result we hoped to achieve. This blog gets over one million views per year (thank you… I am humbled by that figure). We hope that all who read this today or in the days ahead have a safe holiday and have much to be thankful for. Happy Thanksgiving and peace be with you.